True Bliss is what you’ll find in this contemporary designed home. 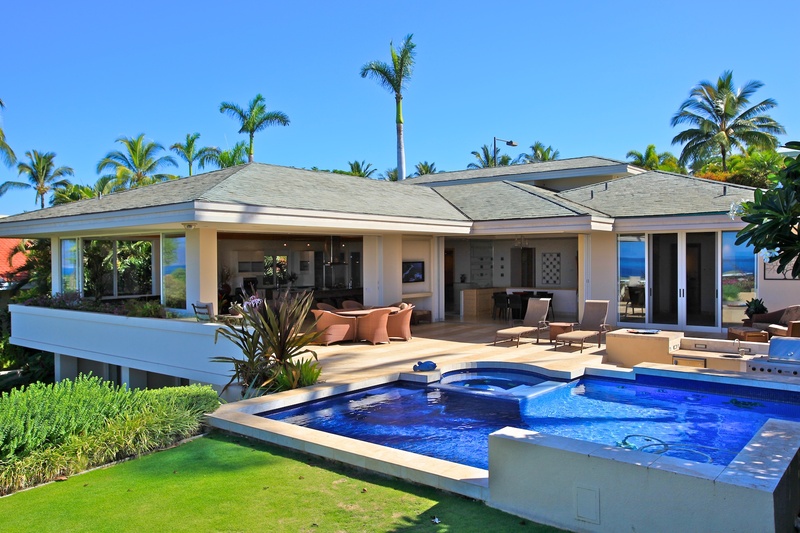 The absolute best panoramic ocean views in Wailea, Molokini to West Maui! This specialty home offers 4800+ sf, single level living with 4 private suites + an office (or 3 private suites and 2 offices), a media room with a Marantz 50” Plasma and a projection screen with surround sound system for the total movie watching experience. There’s an exercise area, a cool wine cellar and two guest suites separate from the single level living on the main level. The master bath has indoor & outdoor showers with private garden, his and her custom closet, there’s indoor/outdoor sheer decent water features, and custom glass entry and interior doors that compliment the contemporary flair. This home is fully automated with AMX Smart House touch screens & wall panel controls for the solar shades, lighting schemes, sound system, landscape lighting, pool/jacuzzi & more. Also included are 4 Plasma and 4 Flat Panel TV’s, a Fireball player, Satellite Radio, 3 AMX touch panels, 3 internet controlled video cameras for watching your wine cellar or home while you’re away. In the kitchen you’ll find Pogenpol European cabinets with Gagnau, Miele, Fisher & Paykel appliances and even a Miele coffee system. 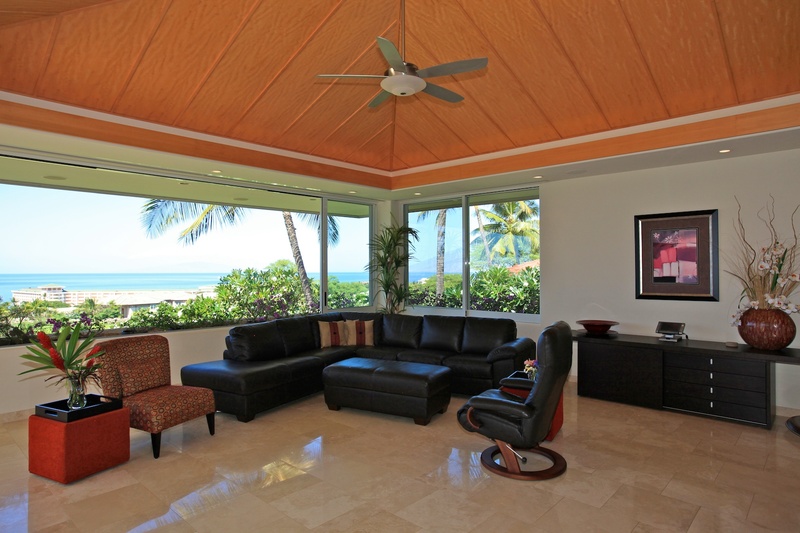 Custom built-in entertainment centers, an elevator, and to top it off, slate roofing.